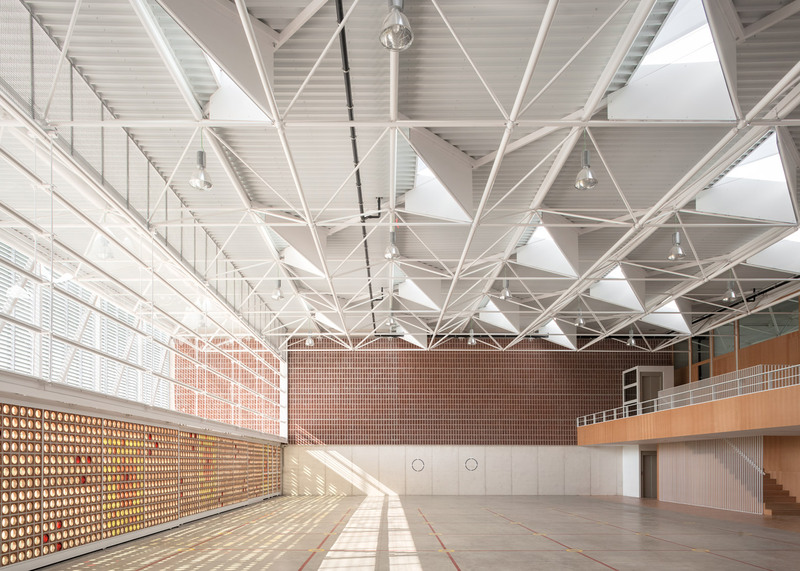 Colourful glass discs are embedded in the clay-tile facade of this school hall near Valencia, so on sunny days colourful shadow patterns are cast across the floor inside (+ slideshow). 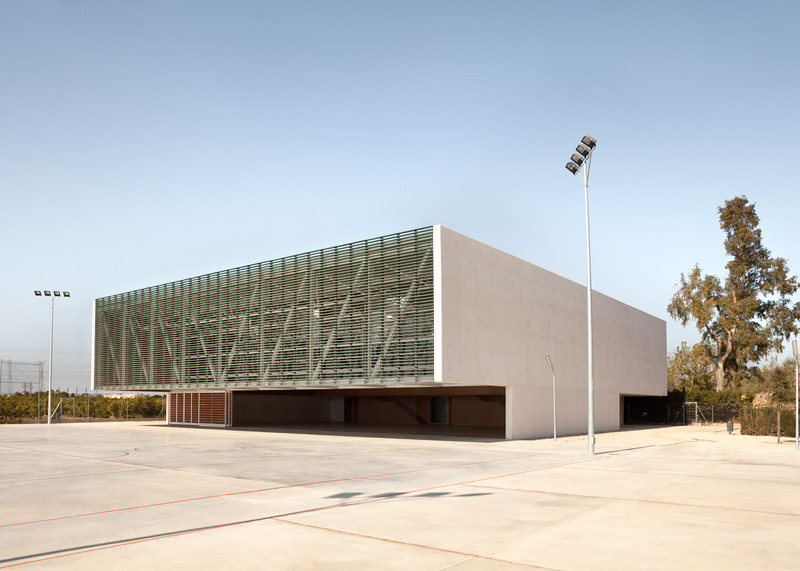 The Multipurpose Educational Hall was designed by local architects Carmen Martínez Gregori, Carmel Gradolo Martínez and Arturo Sanz Martínez as a venue for sports and events at Escola Gavina, a school in Picanya. 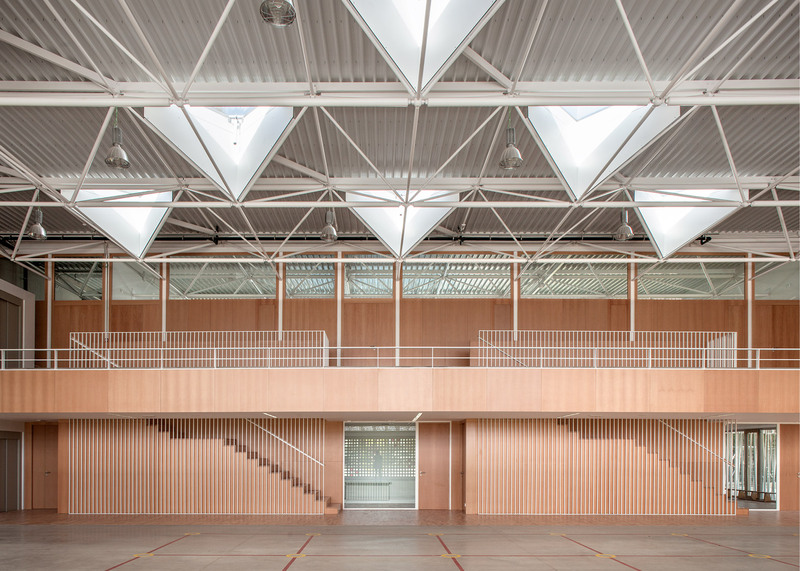 The brief was for a building that could be adapted for a variety of uses, from badminton matches to theatre productions. 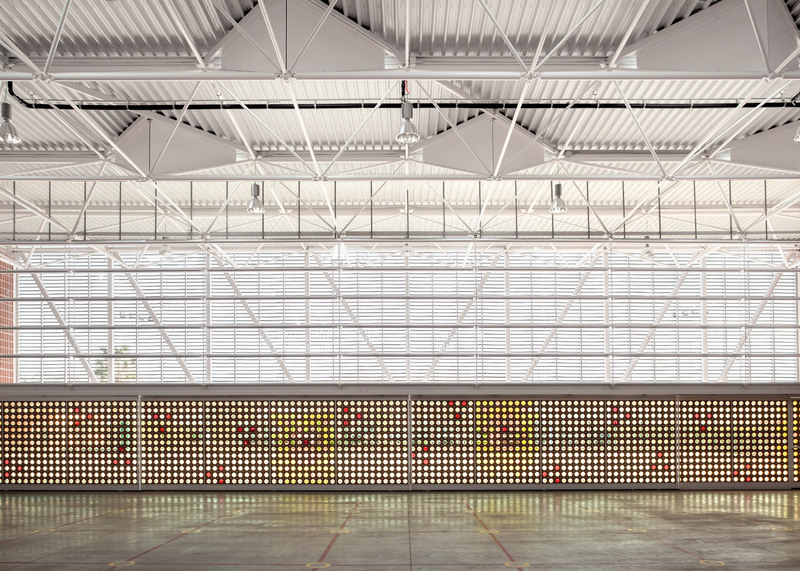 The architects selected a variety of materials – the most unusual being the glass-filled tiles that front the building. These square clay blocks each have a circular hole in the centre, allowing room for glass discs in various tones. Many of the discs inserted are clear, but others offer tones of red, orange and yellow – hence the colourful shadows projected onto the concrete floor of the hall behind. 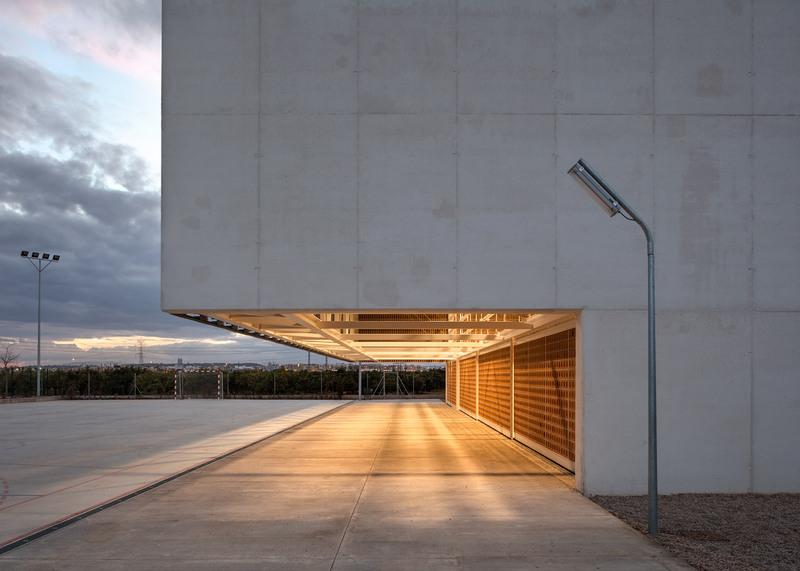 Rather than forming a solid wall, these tiled surfaces are actually a series of sliding doors, allowing the interior to be opened out to the sports pitch outside. The building's structure is provided by a steel portal frame that is left exposed across the the underside of the roof. Concrete forms the walls, while other surfaces are coated with ceramic tiles. The upper section of the facade is glazed, but screened behind louvres that span the entire wall. According to the architects, the aim was for the building to mimic some of the aspects of the adjacent 1980s school block. 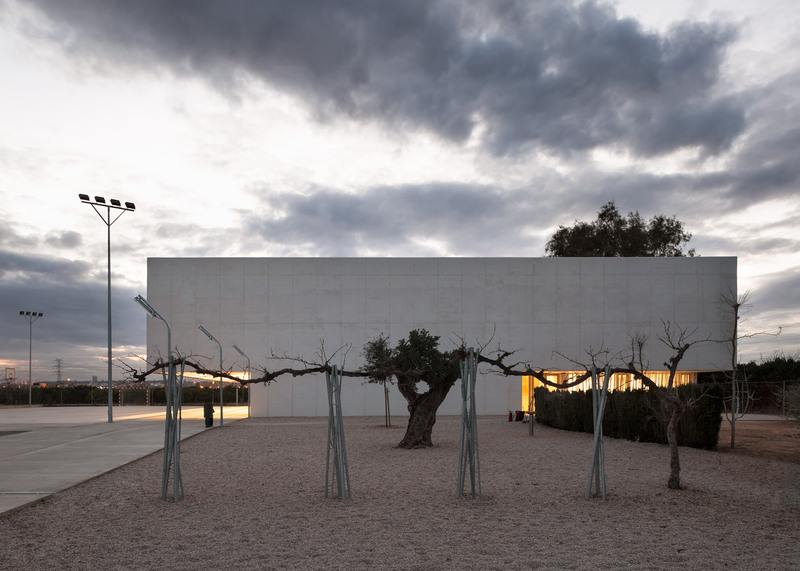 "The composition of our building reinterprets the original [architecture] with a different constructive solution – a quadrangular prism structure with concrete walls with all the corners emptied," said the team. 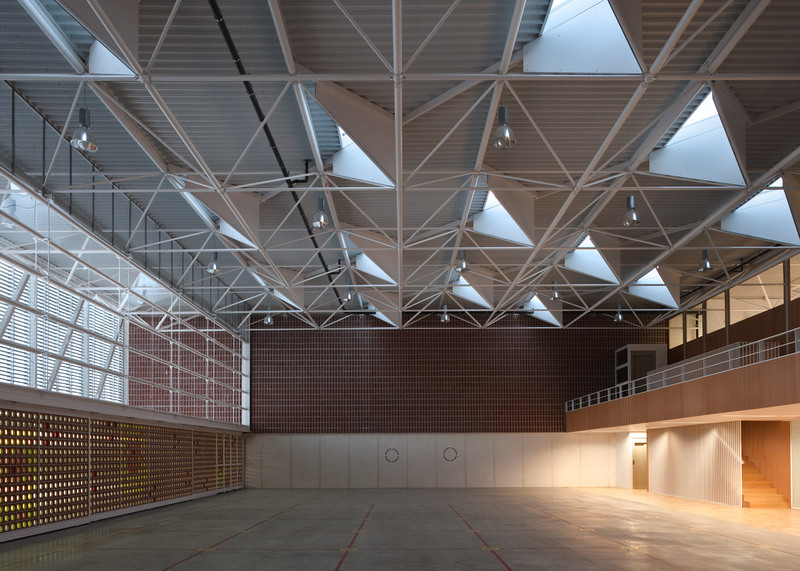 "A space frame solves the roof, and its geometry defined the locations of triangular skylights," they added. 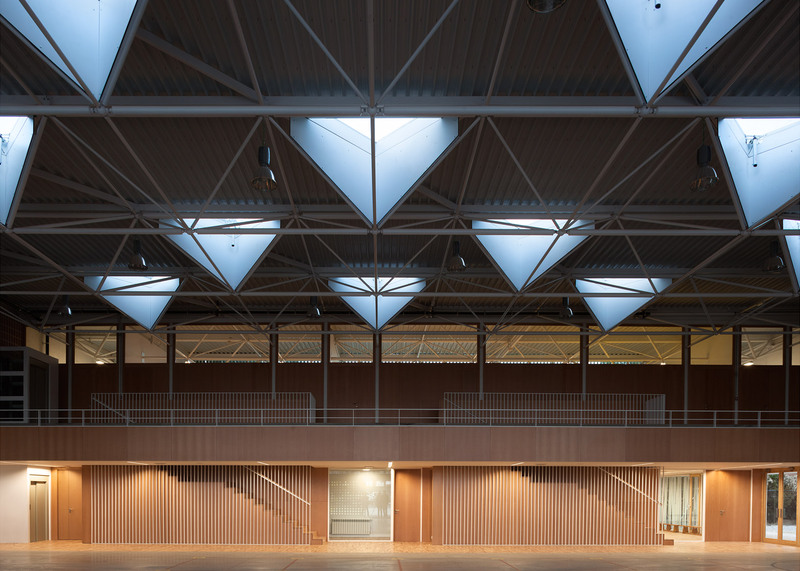 As well as the main hall, the building also accommodates a series of ancillary rooms including a music room and a classroom dedicated to interaction-based learning. 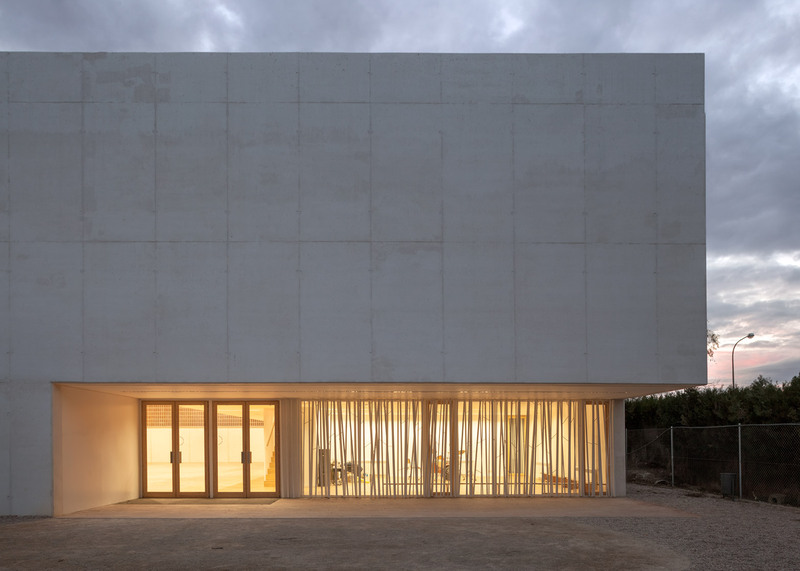 The project was recently named winner in the 2015 Tile of Spain Awards, which celebrates architecture and interior design projects that used ceramics by Spanish brands. Judges praised the "simplicity and effectiveness" of the project, which they say "highlights the smart application of ceramics to resolve acoustic and light control challenges". 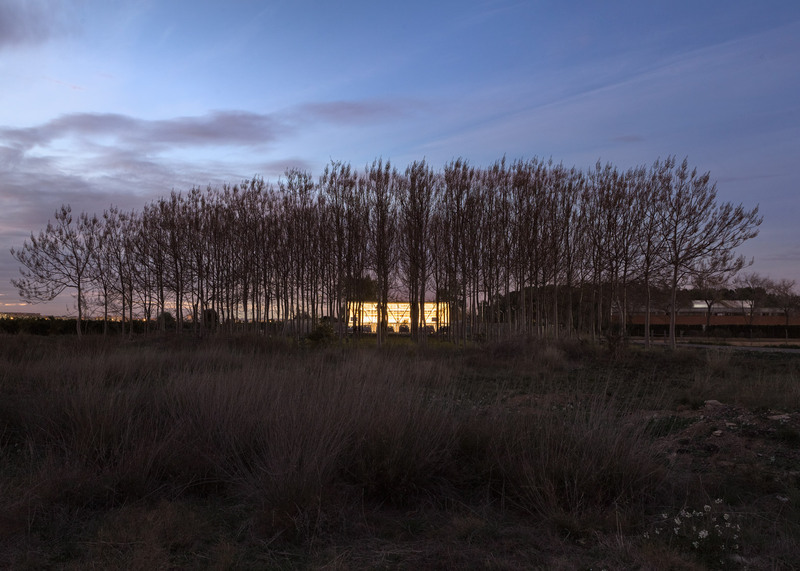 Past winners of the award include a Lisbon townhouse with a green tiled facade and a school for training chefs in a converted slaughterhouse.